Check The requirements for each level below to see which Grades have pre-requisites in each level. Mastery of skill takes time, repetition and effort. Even with the exact same training, No two children will progress at the exact same speed. 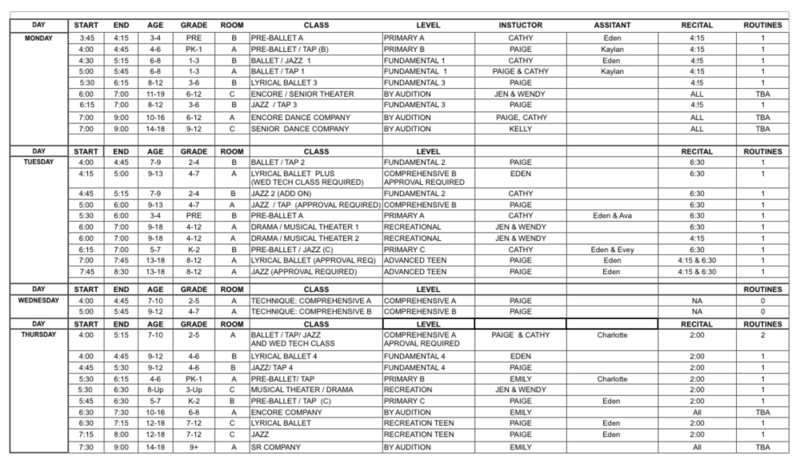 Unlike school, dance students do not go “up a grade” every season. In general, Dance levels (over age 6) generally require more than one season to master. (especially if you were the youngest end of the range this season) Some classes require approval or pre-requisites to enroll.